Four A* grades for NCC superstar Sam! “I feel exhilarated”: The words of Nelson and Colne College star Sam Bolton after he picked up four A* grades this A Level Results Day. After achieving his results, the 18-year-old, a former Colne Park High School student, will now be heading to the University of Warwick to read Maths – following in the footsteps of last year’s star student Charles Choyce. While celebrating, Sam also took the time to thank NCC for the guidance he has received and for helping him to believe in his ability. 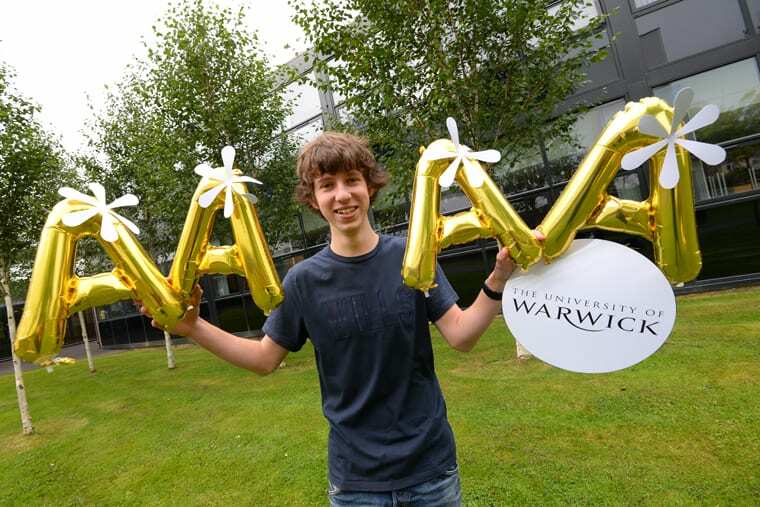 He said: “I am looking forward to studying at the University of Warwick. The teachers here have been really good, and have pushed me to do as well as I can. Nelson and Colne College staff and students are celebrating a 99.9% pass rate and more than half of students achieving A* to B grades. For more information about courses at Nelson and Colne College contact 01282 440272.